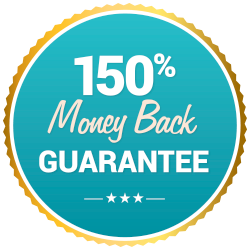 Get the same high protein shakes and protein drinks used by physicians and weight loss centers quickly and efficiently delivered to your door! Our best-selling protein shakes will provide you the necessary nutrition for your diet and weight loss goals! Add some hassle-free protein to your diet with the use of protein weight loss shakes and drinks from Diet Direct. 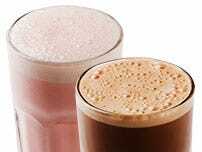 These protein shakes are of the same quality as those used by physicians and weight loss centers to help overweight patients slim down. Our best-selling protein shakes will be conveniently delivered straight to your door so that you can start supplementing your diet as soon as possible. Use these protein shakes as snacks or use them as meal replacement shakes to reduce your caloric intake and quicken your weight loss journey. There are numerous benefits to increasing your protein intake when dieting. High-protein diets can be effective weight loss tools because they keep you feeling full so you have fewer cravings and feel less hungry when cutting back your caloric intake. Higher protein consumption provided by the protein drinks can also help even out blood sugar levels and eliminate crashes that come after you eat a high-carb or high-sugar meal. Switching to a diet that is high in protein can also contribute to a boost in your overall energy. Weight loss protein shakes and protein drinks are also frequently used as workout supplements. Protein is a key ingredient for building muscle and maintaining bone strength. Add protein shakes to your diet on their own or pair them with our other high-protein foods and snacks to increase your weight loss potential. We offer a variety of different weight loss shakes and drinks. These include protein shakes and drinks, fruit drinks, bulk protein powders, smoothies and clear liquid drinks. Our diet drinks also carry the labels of high-quality diet brands such as WonderSlim and BariWise. Some of the flavors included in our drink and protein shake selection include chocolate, strawberry, vanilla, citrus and mixed berry. 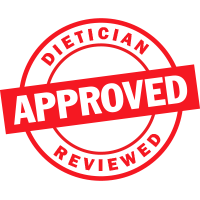 Our weight loss drink supplements also conform to dietary restrictions such as kosher, gluten-free, aspartame-free, sugar-free, fat-free, low-carb and lactose-free.